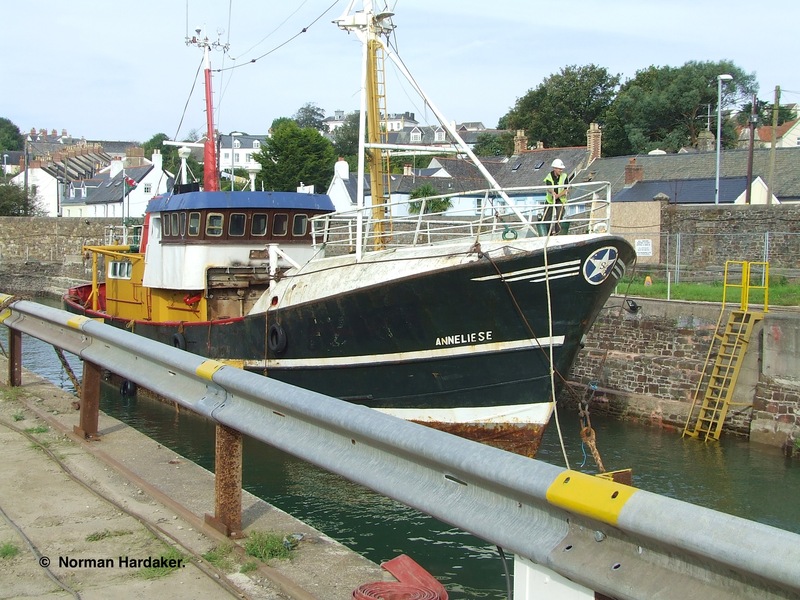 On Thursday 6.9.2012 Richmond Drydock, Appledore, came back into action as a working dock with the arrival of the beam trawler ‘Anneliese’ crossing over the sill on her final voyage to be broken up. 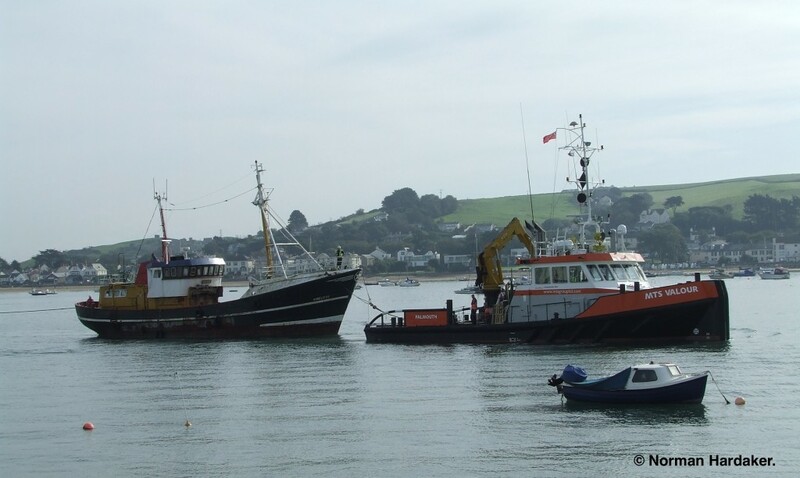 She had been towed from Penzance, her home port, by the British tug MTS ‘Valour’ (registered in Falmouth), together with another beamer, the ‘Jannie En Klass’, which was also docked a bit later to meet the same fate. A rep from the owners W Stevenson and Sons was in attendance and advised that both vessels had been decommissioned about 18 months ago. The owners of the drydock, FTD Marine of Bideford, were pleased with the way the operation had gone, and expect to take a month to 6 weeks to complete the demolition of both vessels. It is wonderful to see the dock again being put to its intended use – nine years have passed since the last vessel, the ‘Antic’, used the drydock . On behalf of the readers of the “Buzz” I wished them every future success with this venture, which is in the best tradition of Appledore’s true nautical roots. Norman. 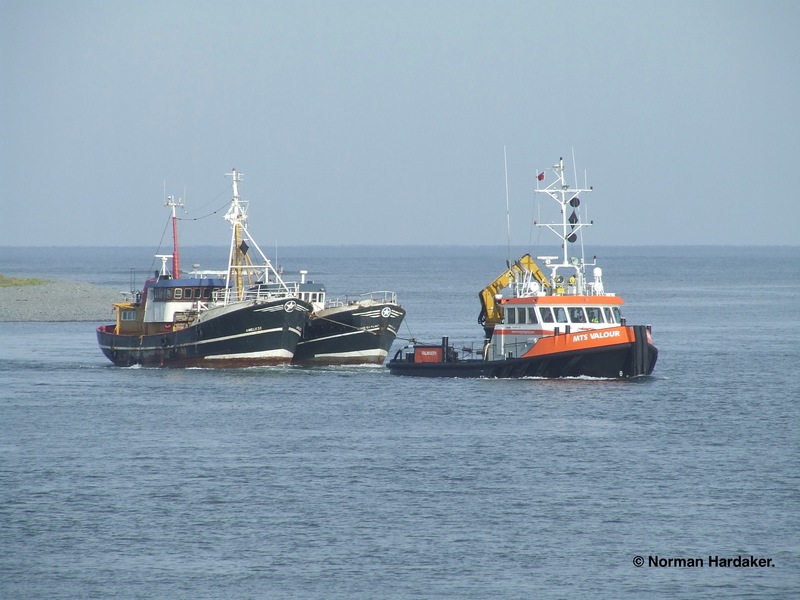 ‘Anneliese’ and ‘Jannie En Klass’ arrive under tow. ‘Anneliese’ is towed to the dock. This entry was posted in Shipping and tagged appledore, recycling, Richmond Dock, shipbreaking. Bookmark the permalink.